This software is mainly used in storefront businesses for processing credit card payments and managing daily sales. Deploying this software will allow you to effectively perform all the essential tasks like inventory management, staff management and menu customizations. POS system combines POS hardware and POS software to build a centralized solution for processing sales transactions. This software is mainly used in storefront businesses for processing credit card payments and managing daily sales. Deploying a POS software will allow you to effectively perform all the essential tasks like inventory management, staff management and menu customizations. There are three main types of POS software available for serving different kinds of businesses - restaurant POS, small business POS and retail POS systems. We have listed some of the best free and open source POS software which can help you improve your business efficiency without really hampering your budget. Vend is a free and advanced POS software that helps you to grow your retail business. It has an easy interface that will make your staff understand the software in no time. 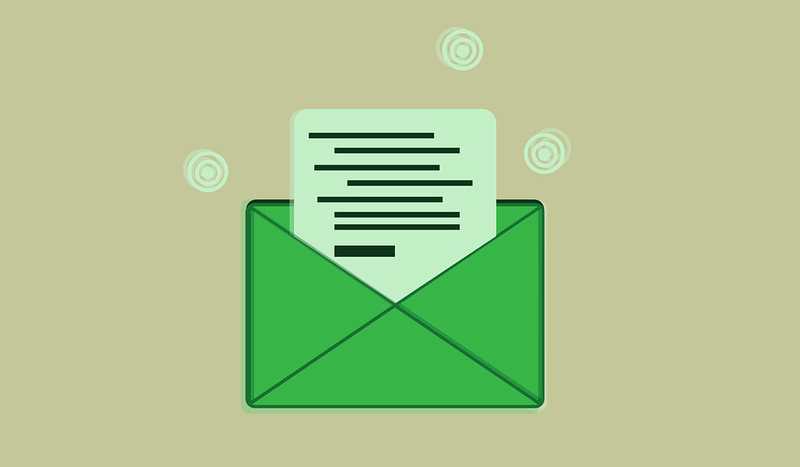 Using Vend, you can instantly add notes and discounts to your sales items. In addition, it allows you to generate customized receipts with your brand logo. 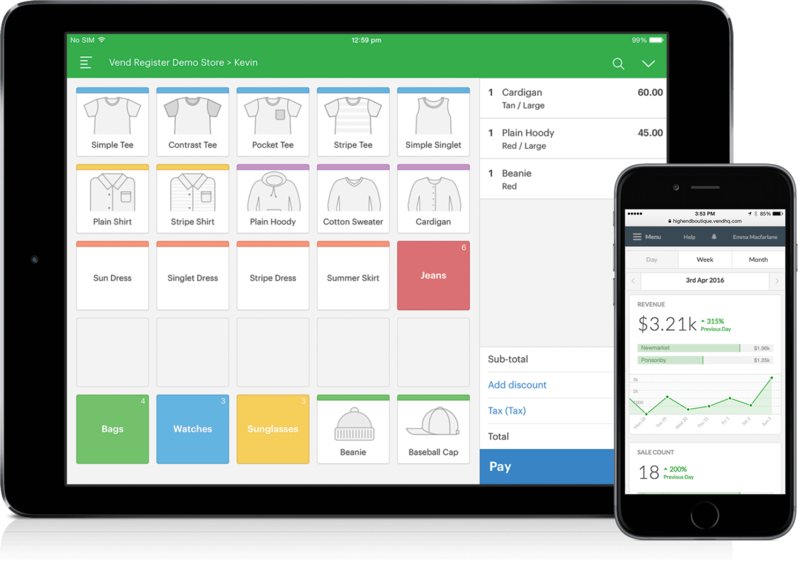 Vend allows effective cash management and tracks all the cash movements in your store. Moreover, you can securely process all your credit card and debit card payments. You can even issue gift cards to your customers. Vend also has an active 24/7 global support system to clear all your queries. 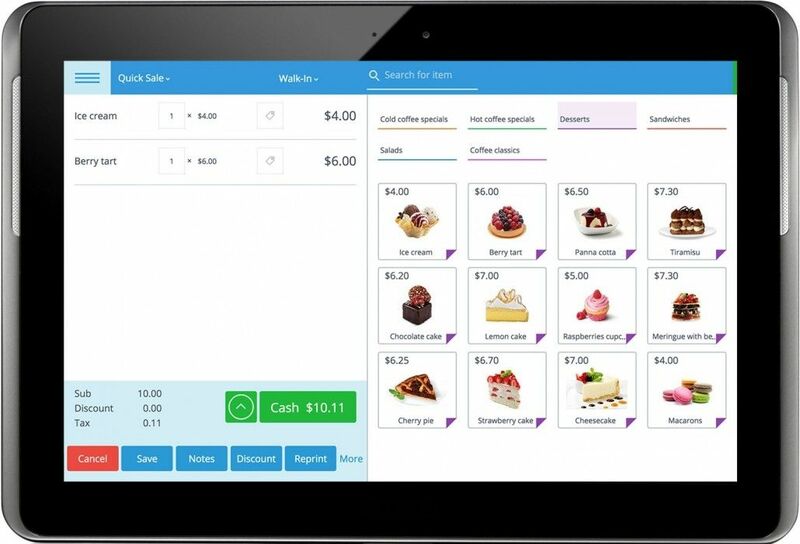 One of the best free cross-platform POS software built especially for startups and small businesses. You can efficiently manage this software from multiple devices. With eHopper, you can carry out processes like refunds, discounts and taxes even if you are offline. Using its Pay-In/Pay-Out feature, you can accurately manage your money and easily generate a report of it. Using eHopper’s all-in-one order view feature, you can track the order status, manage all your orders and get a detailed view of the current and previous orders. It flawlessly processes various modes of payments like cash, credit cards and debit cards. uniCenta is a powerful open source POS platform that can efficiently improve the efficiency of your sales process. This software allows PCI compliance card processing, which ensures safe and secure payments. It also has Pay ins/outs feature to keep track of all your cash payments and receipts. Using uniCenta, you can even create personalized receipts with your brand logo. 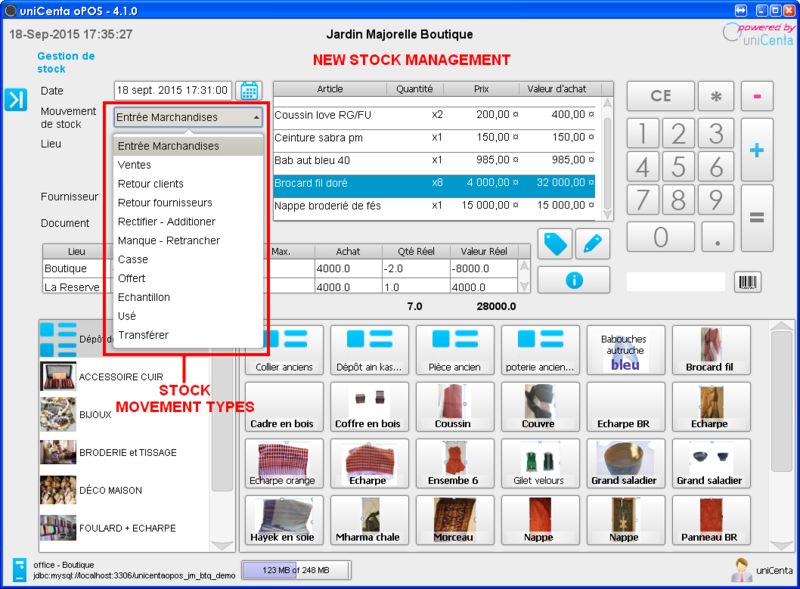 This POS software allows you to instantly view all product details with its real-time lookup tool. 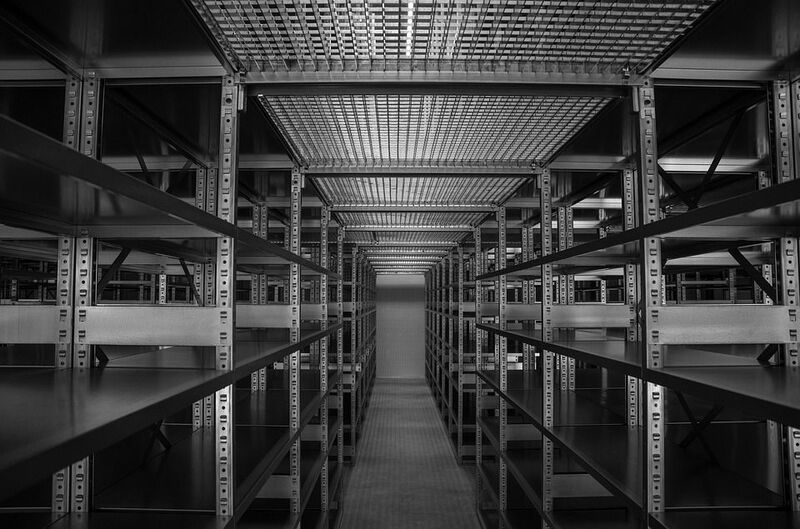 In addition, you can also manage multiple stores with a single centralized database. Its min/max level tool helps you to fix upper and lower limit for every product which avoids over-stocking and over-selling. 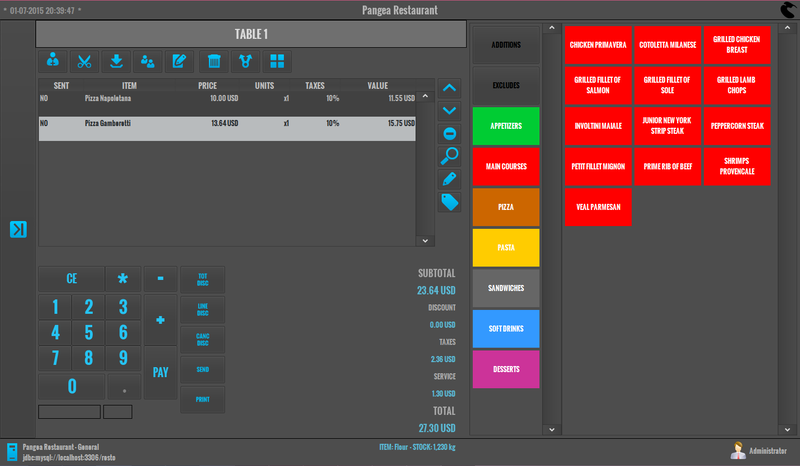 A fully-featured open source POS application for all types of restaurant businesses. 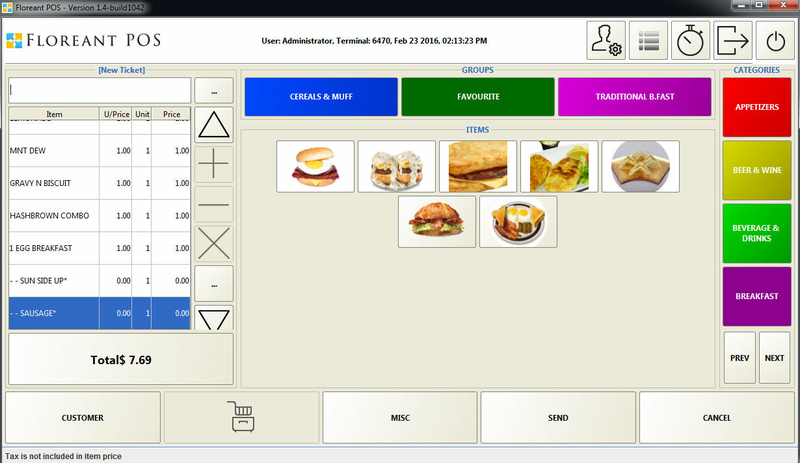 Floreant POS can be used for any type of eatery business such as Dine in, fast food, bar etc. Using Floreant POS, you can easily configure and calculate taxes for your items based on your location. In addition, the admin can be given access to configure the store and price of various products. A user-friendly open source POS software to effectively manage your sales, stock and accounting. It allows you to create multiple accounts with different roles and privileges in order to access the system. With Pangea, you can accept payments in multiple modes as well as currencies. Pangea has all the essential features to suit any kind of business. You can easily create attractive vouchers and discounts, which can drastically increase your sales. 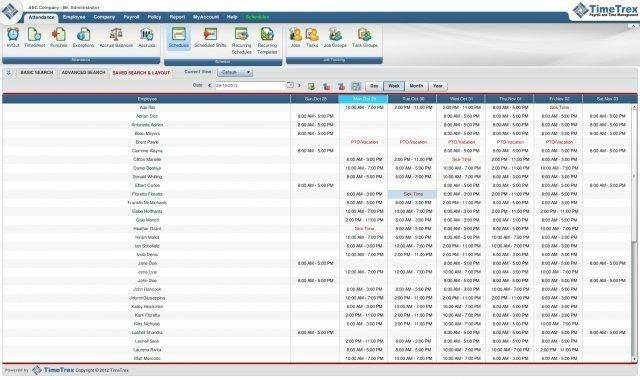 In addition, it has report scheduler feature, which allows generated reports to be automatically sent to the predefined mail addresses. These are the best free and open source POS software with all the basic and necessary features which you can deploy to improve your business efficiency. Another great thing about all the above-mentioned software is that you don’t need an expert to use it, thanks to their easy to use user interface.